The Jake, the primary annual fundraiser for the Nicklaus Children’s Health Care Foundation and already a hugely successful event, set a new bar this year when it raised a record $2.9 million to help children and families in South Florida and across the United States. It was the fourth year in a row The Jake has reached the $2 million mark in funds raised to help the Foundation support the Nicklaus Children’s Hospital and its network of outpatient centers. 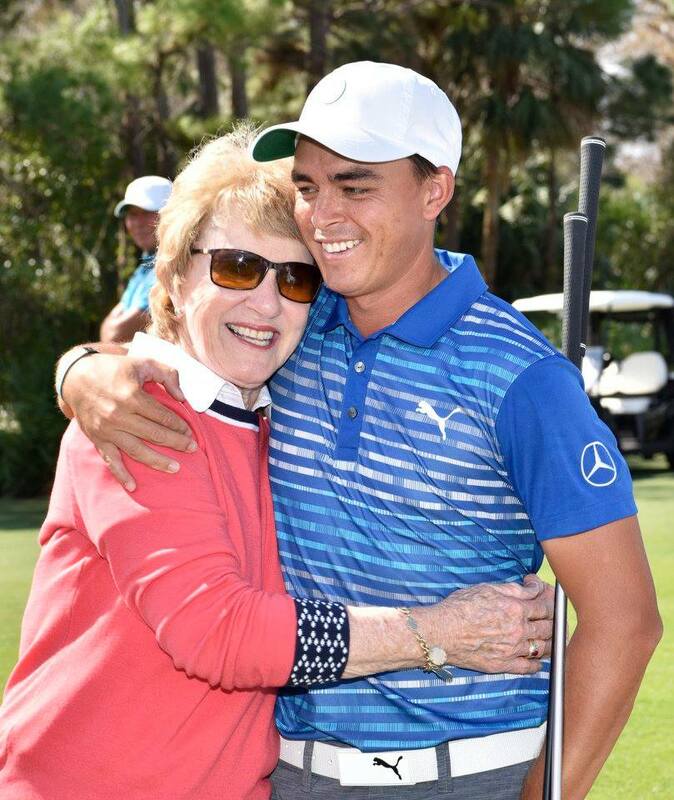 A “who’s who” of PGA TOUR stars, including 2017 Honda Classic winner Rickie Fowler, met for a day of golf and fundraising at The Bear’s Club in Jupiter—the Nicklaus family’s Florida home club, with the centerpiece being a golf course designed by the Golden Bear. The layout is regularly included in lists of the best modern, residential, and private courses in the United States. Joining Nicklaus, the 18-time major champion and co-founder with wife Barbara of the Nicklaus Children’s Health Care Foundation, were 23 present and past PGA TOUR pros grouped with amateurs. The touring professionals included: Fowler, Daniel Berger, Keegan Bradley, Scott Brown, Jon Curran, Luke Donald, Jason Dufner, Ken Duke, Ernie Els, Lucas Glover, Branden Grace, David Hearn, Morgan Hoffmann, Smylie Kaufman, Brooks Koepka, Anirban Lahiri, Jamie Lovemark, Andy North, Patrick Rodgers, Brendan Steele, Justin Thomas, Cameron Tringale, and Camilo Villegas. North’s foursome—with playing partners Marc Bibeau, Robert Bibeau, Dr. Ronald Denis, and Maurice Pinsonneault—won with a tournament-record net score of 49. All 22 active PGA TOUR participants in The Jake were in the field later in the week for The Honda Classic. In total, The Jake field included five past winners of The Honda Classic. Nicklaus is still the only player in the tournament’s 45-year history to twice defend his title—then called the Tournament Players Championship and the Jackie Gleason Inverrary Classic—with wins in 1976, ’77, and ’78. Luke Donald won The Honda Classic in 2006; Els won in 2008; and Villegas won in 2010. Hoffmann finished four back of Fowler on Sunday to finish tied for second—his best finish in a PGA TOUR event. The Jake field also included five major champions (Bradley, Dufner, Els, Nicklaus, and North). Wrapping up a week of fundraising for the Nicklaus Children’s Health Care Foundation, The Honda Classic has the Nicklaus Children’s Health Care Foundation as its primary beneficiary. Last year, the popular PGA TOUR stop granted an unprecedented $1 million to the Foundation. On the eve of The Jake’s golf tournament, a private dinner was held at The Bear’s Club, during which a Rolex was won by Diana Jaeger. Participants enjoyed live and silent auctions, as well as speeches by Jack and Barbara Nicklaus on a night emceed by Golf Channel personality and renowned sportswriter Tim Rosaforte. The Jake is named in honor of Jake Walter Nicklaus, the son of Steve and Krista Nicklaus and grandson of Jack and Barbara Nicklaus, who passed away in 2005 at the age of 17 months old. Funds from The Jake will be directed to further the mission of the Foundation, which is to provide access to world-class healthcare for children and support cutting-edge programs focused on the diagnosis, prevention and treatment of childhood diseases and disorders. 2016 was an impactful year for the Foundation and Nicklaus Children’s Hospital, and with the almost $3 million raised by The Jake, 2017 could set a new bar. Major Gift sponsors were Steve Rasmussen; Jimmy and Becky Mayer; and Thomas and Jeannie Tisbo. Premier sponsors were the William and Mary Ryan Charitable Foundation; David and Sylvie Forest; and Harry You. Platinum sponsors were Joyce Meyer Ministries and Nationwide. Silver sponsors were The Buoniconti Fund to Cure Paralysis, Inc.; Beaty, Green, Rosenthal, Tickle; Neil Oxman; the Susan & Leonard Feinstein Foundation; J. Ira and Nicki Harris Family Foundation; Casey Cowell; and Dan Sullivan. Bronze sponsors were William W. Staudt; and The Barry Friedberg and Charlotte Moss Family Foundation. A special thanks to Nicklaus Companies Co-Chairman Howard Milstein for the significant gift he made to the Foundation during The Jake. Since 2005, The Jake has contributed more than $18 million toward the ongoing fundraising efforts of the Nicklaus Children’s Health Care Foundation. The Foundation was formed for a simple reason: to help kids in the community where Jack and Barbara Nicklaus and their children and grandchildren had already lived and worked for decades. For more information on how you can support Jack and Barbara in their efforts to help children, visit nchcf.org.